For more information about our library, check out our Library Page, call us at 415-920-5040, email info@supportforfamilies.org, or stop by during our open hours! I love this 103 page book. It is so easy to use, with a comprehensive index to help you find a tip quickly. It is illustrated with drawings and colorful photos of children using tablets. You also learn to childproof your child’s tablet and gives information about choosing appropriate APPS. This book lives in the AT Lab so check us both out. If you have a teen, with or without disabilities, he/she is probably sleep deprived, stressed, overbooked, depressed and lacking coping skills. The author is a father and a professional with 30 years of working with teen experience. This book gives strategies on how to build a resilient teen. It also addresses the coping skills of the parents. Help your teen with love, laughter and your own resilience. Here is another 103 page instruction book. It is written for parents to teach them advocacy skills to help their child. The book is very user friendly and gives the reader the major points of special education law and the legal rights of the child. It will give the reader new confidence. The authors currently belong to us. Both work in San Francisco in employment statistics and related fields. The large number of people with diagnoses on the Autism Spectrum, who are not employed opened a need to discover how this can be changed. They opened an autism job club in the San Francisco Bay Area. This book documents how they created jobs and placed people with autism into the new jobs. The job applicants are coached to get and keep one of these jobs. Find out how it is done and how to access an autism job club. A lot is said about the use of mindfulness to reduce stress and create calm. The book’s focus is on the parents using mindfulness techniques to create their own self-calm to build a better relationship with their child with ADHD. It goes on to explore how to deal with challenging behaviors, create better communication and much more. There is an excellent Table of Contents that allows you to find that tidbit of information you need quickly. The chapters are easy to use, so borrow it from the library! Joan Cassel Memorial Library Book Reviews! This is a picture book based on a social issue found in San Francisco and most major cities in the world, homelessness. More than ever today, families find themselves without a home. This mom and daughter find themselves living in their car after the father dies. The family is also an immigrant family. I think this richly illustrated story lends itself to be read aloud to any child or group of children old enough to be aware of this social issue. It lends itself to discussion. The self-reading level is second grade and up. 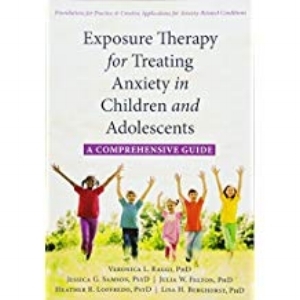 Here is a purse sized book that defines trauma and gives techniques on how to help children cope with and recover from trauma. Problems of self-regulation is one of the signs as are lying, terror and fear. I found that this little resource just gets you thinking about the signs that may represent trauma and possible treatment and how to find help. It is a quick read and the facts are easy to remember. I was so happy to receive this book for the library. It is a classic and especially good for the busy parent, who has 5 minutes to read before he/she is needed. The book is tiny and can be carried in a small purse. If offers inspiration and wisdom in one page bites. Each piece begins with “I wish….” And ends with a helpful tip and an appropriate quote to carry with you for the rest of the day. The second part of the book is looking back and the pieces are written by adults with disabilities. These words of encouragement are good for everyone. It has taken a long time for someone to write a book like this for families and the professionals who work with them. It is based on her own and the experiences of 31 people raising children with disabilities alone. She has picked very diverse family situations. They include people losing a spouse, those divorced, grandparents, moms conceiving without a partner, spouses deployed for long periods in the military, fathers alone and adoptions of children with special needs. The author is a familiar writer, thoughtful, a researcher and very easy to read and understand. You will feel you know these 31 people and their families. Each story has an added genius moments and areas to go for support. The words from the parents are in italics. I like the comprehensive Table of Contents, The Conclusion, the References and the Subject Index. It is easy to read the chapter that seems to match the readers’ circumstances or concerns. Note this is equally good for the professional involved with the family. First of all, the book, though organized as a curriculum, is not limited to teachers and other professionals. 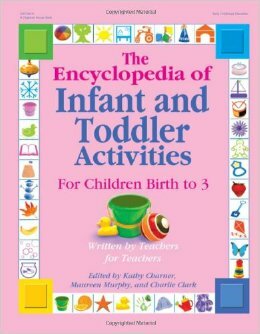 Each activity stands on its own and is listed by developmental age and the skill addressed. Parents might want to work on Fine and Gross Motor Skills for an infant. They would find this information in the Table of Contents. The skills are listed by the following ages Infants, Infants and Toddlers, Younger Toddlers and Older Toddlers. Listed under each skill is the activity and the page number with the instructions. Once you locate an activity to try, you will find a materials list, instructions for doing the activity and further activities or more information. A helpful Index is included at the end. The print is easy to read and illustrated when needed. I found it very user friendly so parents and professionals give it a try. Early childhood development and intervention are addressed here. I would recommend this book to the professionals working with the children. Today’s world often necessitates the young child spending more time with professionals than he does with his parents. The authors are giving guidance for the development of listening skills, self-regulation, language and communication and relating to others behaviors. It is very helpful in understanding social development, the importance of play, child development, language and how to use the classroom as a supportive environment. The Table of Contents is very comprehensive and the Appendices add important additional material. Though they say it is written for parents too, I think the format and language level puts the book on a professional level as there is much assumed education and experience in the classroom. Have you checked out our library? One of the longest-lived programs at Support for Families is the Joan Cassel Memorial Library. Come by during our open hours (M/W 9:30am - 4:30pm, T/TH 12:30pm - 8:30pm) and check out our extensive collection of books, periodicals, toys, DVDs, and Early Literacy Kits! Want to browse our collection before you stop by? Click here to explore our online catalog. At Support for Families, we want to improve access to services for the children you live and work with, but we also want to improve access to services for you! Every Tuesday (Except for July 4th) until December 12th, Support for Families will host yoga from 4-5pm in our light-filled conference room, free of charge! Childcare is also available free of charge with one weeks' advanced notice. Restorative Yoga focuses on slowly and mindfully moving through yoga movements and postures, learning to control our breath in order to focus and calm our mind and body. Guidance and modifications are provided throughout the class in order to be as supportive and inclusive as possible for all abilities and levels. Kaira’s journey began in 2007 when she took her first yoga class as an adult. Coming back to it time and time again—and becoming more of a regular yogi throughout the years—she felt the empowerment and healing that naturally came with consistent, mindful practice. She is a proud graduate of Niroga Institute’s Yoga Teacher Training Program, which includes holistic study on anatomy and physiology, yoga postures, breathing techniques, meditation, and yoga philosophy. Support for Families is so excited to be a part of EAT TRILL this year - "a Music, Food and Community festival in San Francisco dedicated to real people, real food, real music and real community. Last year was [the] first annual event and over $4,000 [was raised] for the Homeless Youth Alliance to help them move into a new space." Join us on July 4th to celebrate our community, eat some great food, listen to music, and raise some money for Support for Families! Thanks so much to SPARK Social SF and EAT TRILL!!! See you on the 4th!